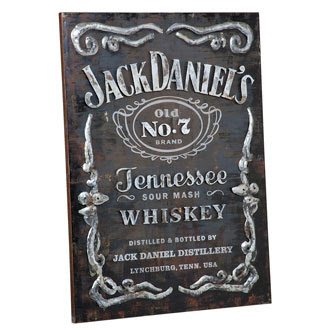 This Jack Daniel’s Label Metal Wall Art is like nothing you’ve seen before. Impressive in both size and technique each piece is hand crafted from repurposed steel and is truly one-of-a-kind. Features hand cut and formed steel designs with distressed finish.